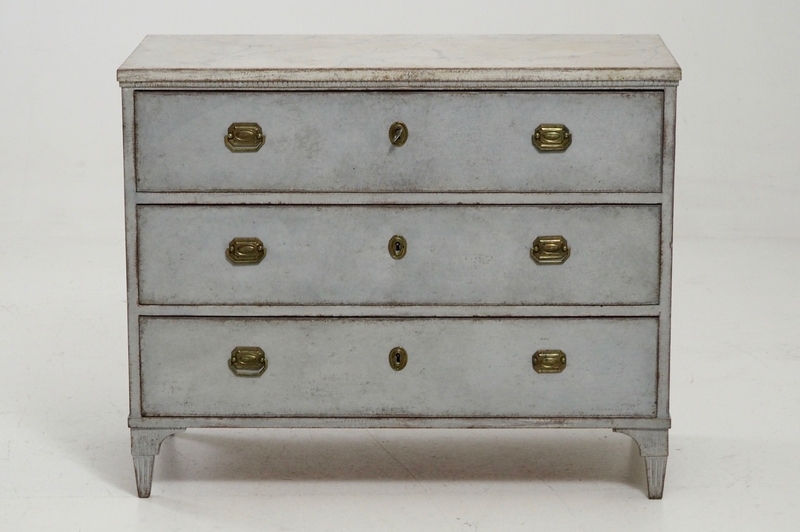 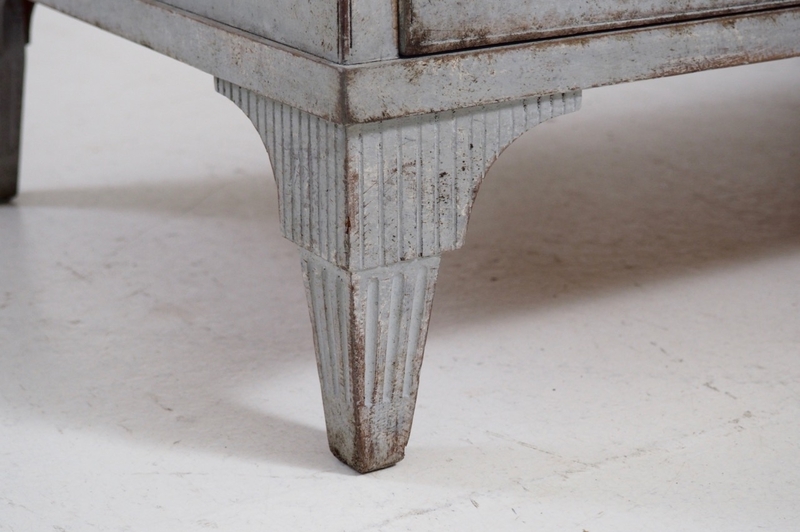 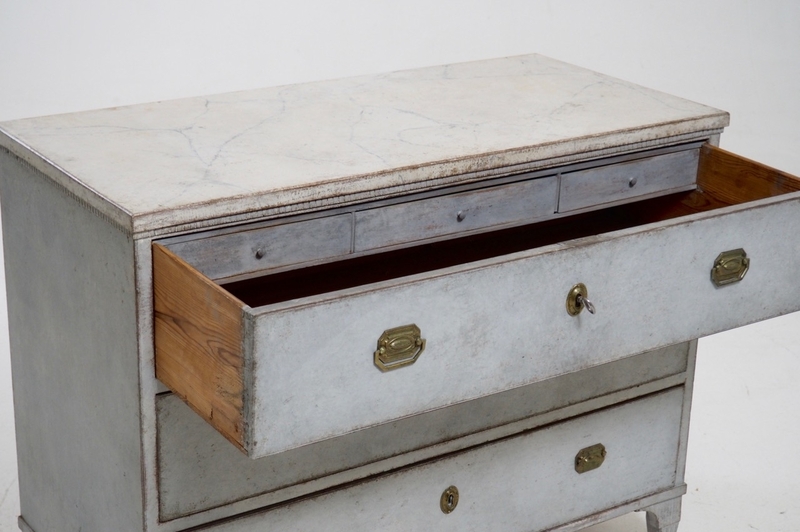 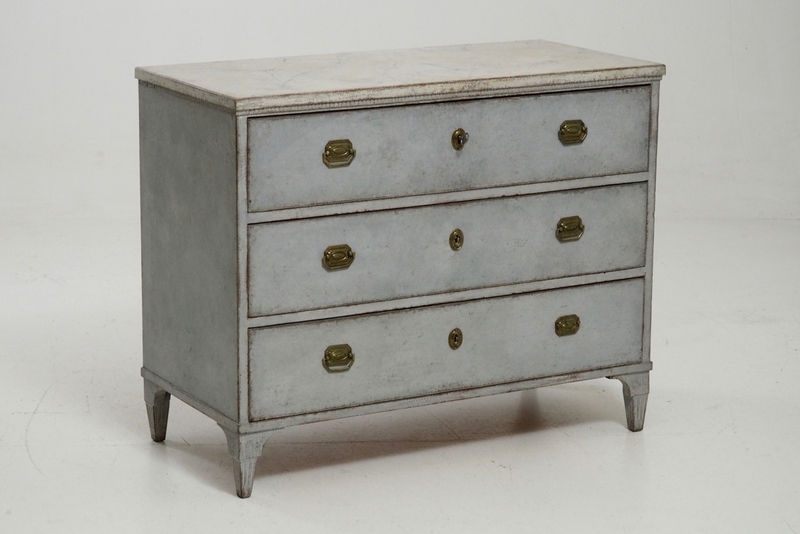 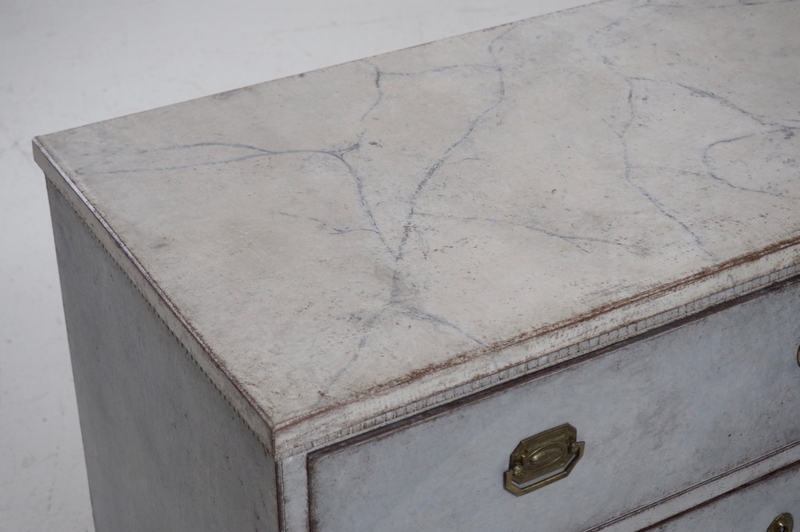 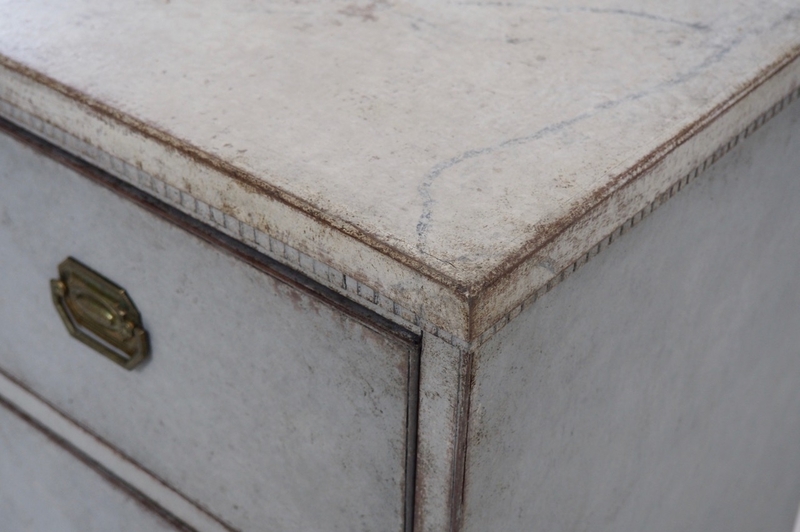 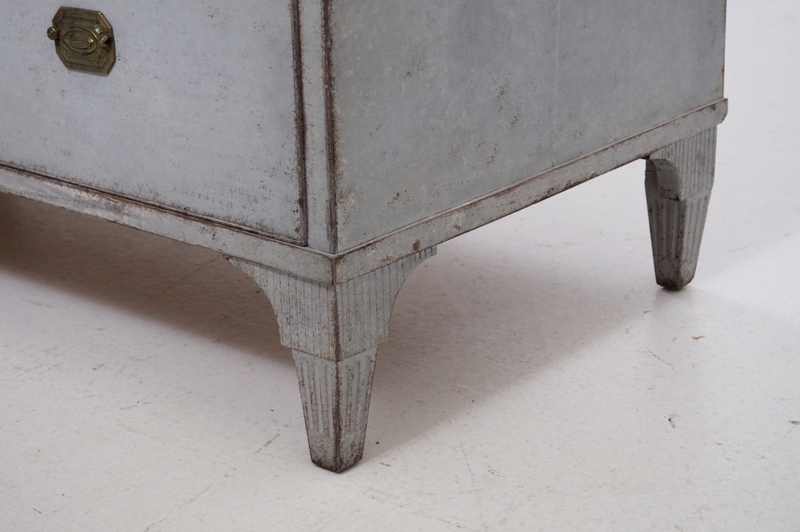 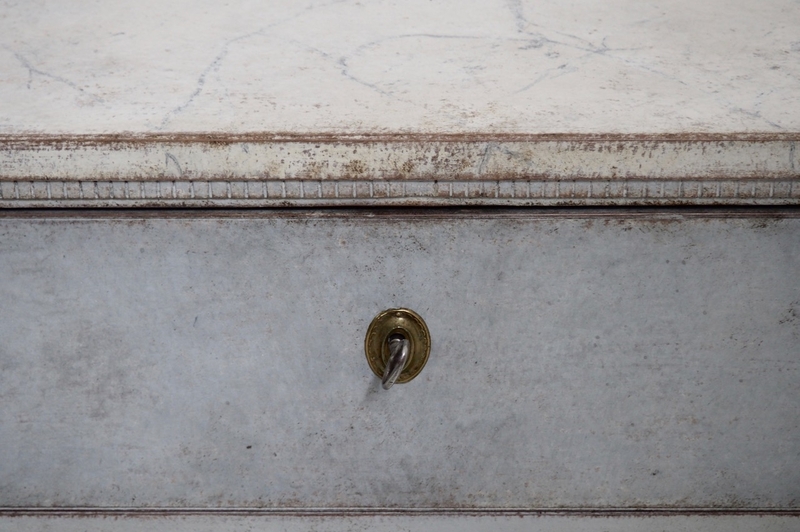 Fine Gustavian chest with original bronze hardware and locks, circa 1790. 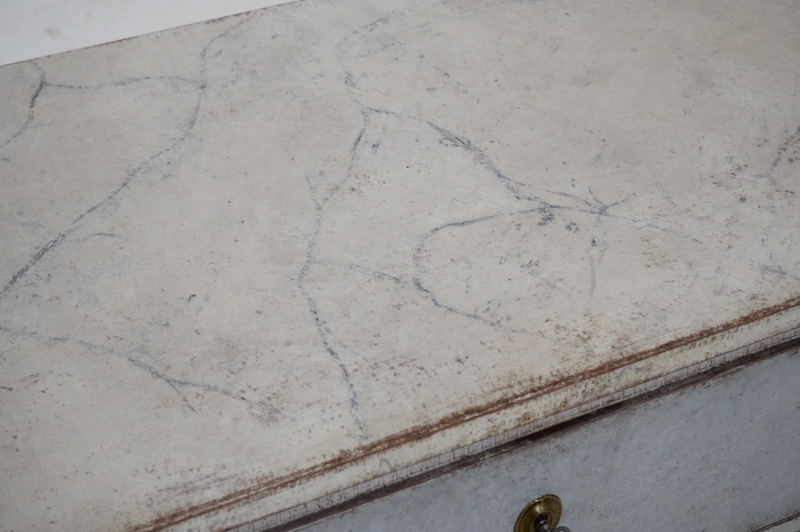 H. 85 W. 106 D. 50 cm. 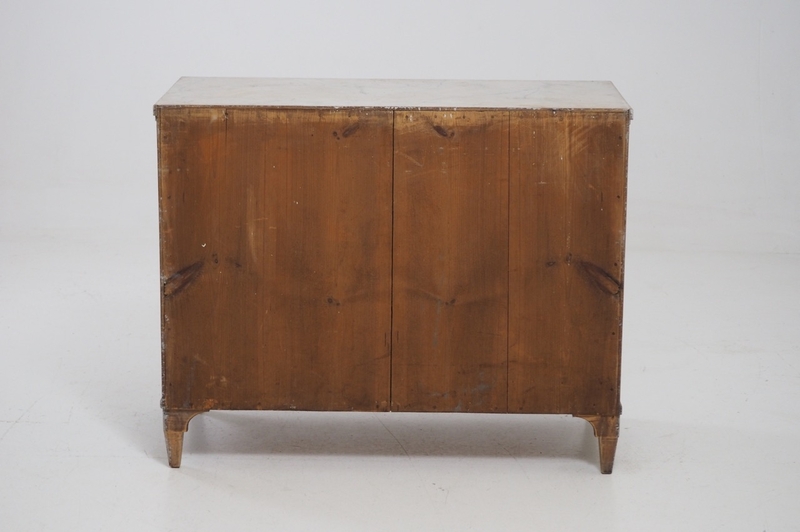 H. 33 W. 42 D. 20 in.